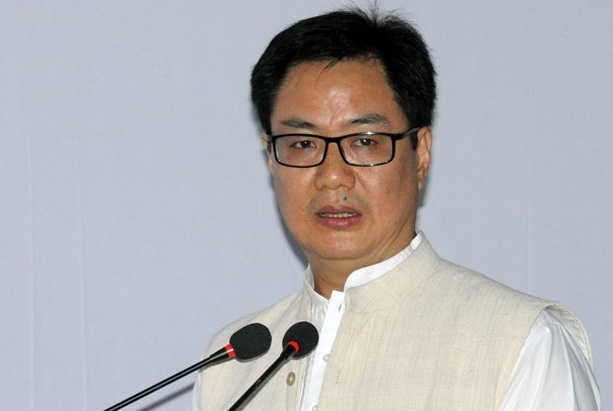 Union Minister of State for Home, Kiren Rijiju has reiterated that there was no reference of any state or its boundary mentioned in the 2015 Framework Agreement signed between Centre and the NSCN (I-M). Rijiju stated this in his letter, to Manipur’s Lok Sabha parliamentarian, Dr T Meinya of Manipur. During the recently concluded Monsoon Session of the Parliament, Meinya had raised concern over protecting the state’s territorial integrity in the event a final solution is arrived at between the Central Government and the NSCN (I-M). Rijiju had also categorically stated that the interlocutor for Naga talks, R N Ravi had not given any statement anywhere regarding the contents of the talks, which was yet to be finalized. The response also comes at a time when various NGOs of Manipur had been protesting against the Centre’s reported intention to extend Article 371(A) of the Indian Constitution to Naga inhabited areas of Manipur. On Sunday also, a sit-in-demonstration was staged at Khamnam Bazar in Imphal West district in protest against the Centre’s intention of extending of Article 371(A) or Sixth Schedule in the State.